Jane Farrell had a career in publishing for many years. After training with and working in-house for Cambridge University Press, she then worked as a freelance language editor for all the major academic publishers. Jane studied White’s Technique with Peter Giles and has been using the method since 1997. She is a versatile semi-professional singer in both the classical and folk scenes, and an experienced choral and small-ensemble singer. She is the mezzo-soprano in Peter Giles’ mixed-voice quintet Quodlibet. 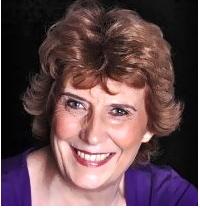 Jane also currently puts her vocal and musical skills to good use with the company Music for Health, leading interactive music workshops in care homes for the elderly and for adults with learning disabilities. Jane has been heavily involved from the start with the Society’s project to use the Internet to take White’s Technique to the wider world, and wrote Better Voice, the multi-media e-course on the Technique that will be launched early in 2015.